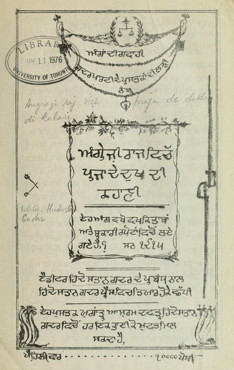 This free pamphlet, published by the Hindustan Gadar Press and circulated at Yugantar Ashram, details the finances and tax practices of the British colonial administration in India. Also included are income statistics for government and agriculture, as well as casualty reports from military operations and public health crises. These facts, used as evidence of the oppression of the native population, form the basis for an argument in favor of the British leaving India.